If you go to the Fastcardtech site and do a search for HDC S7100, you will no longer be able to find it. It has been re-named HDC N7100+ which shares the same name as the UPAI N7100+ or the STAR S7100 / N7100+. The price has also been dropped to $195 with free shipping. You will never find a company that switches names like that in the western world or even in Singapore. Perhaps the brand HDC is just a name created by Fastcardtech. Anyway, these phones are all identical and I ordered one for testing and my findings are in my previous post. This is the first MTK6577 phone running Jelly Bean and I want to see for myself how good Jelly Bean is. I found the phone to be unstable but still useable when all the functions are working. It gets frustrating when you turn off a switch only to find that you are unable to turn it back on and have to try several things to try to get it to work like hold your breath while turning on the phone or standing on your head while you activate the switch. I managed to find a rom from a Spanish forum and flashed it and everything runs correctly except that the compass is not working. The compass was already not working in the first faulty ROM. So here is the youtube video that I just finished. Sorry if I left out testing some features but I had to make the video as short and as comprehensive as possible so you will know what you are getting when you buy this phone. There is another version of this phone with a HD 720p screen (link here) but I will not be testing that as I already know now that the MTK6577 SOC is being pushed to its limits when driving a 720p HD screen and therefore will introduce some jerkiness. I am very skeptical of this HD version because the main advertising in the listing do not coincide with the pictures and details. I am sure the screen is QHD and not HD. I measured the size of the screen grab and it is QHD unmodified. If fastcardtech resized the picture it will be in JPG format and not PNG which is the screen grab format. That phone is the HDC N7100 (without the +). If you want to buy the phone then go ahead, don't let me stop you. So please watch the video to find out if this phone is for you. Rooted stable ROM and CWM recovery Links Below the video. UPDATE: A reader received the phone without the instability problems so it appears that the phone has been fixed. If anyone has the phone with the old unstable rom, the rom here will fix those problems. If you get the phone without any problems, you just need to add CWM recovery and use the rooting method by bin4ry. Great review! I have just ordered one from Gmarket. Please post the CWM and stable ROM complete with the instructions. Can't wait! So would you give this phone a must buy seal? I have been looking for a relatively cheap smartphone that runs jellybean however the fact that the screen isnt IPS and i will have to root and flash it myself before it can work makes me uneasy. It is a pity that it doesn't work right out of the box. However Jelly Bean makes it all worth it. Maybe in future I might open a small online store with fixed phones in limited number so that some folks like you which just like a working phone can buy and have peace of mind. They just changed the name back to S7100. The other version with the HD screen is not HD. It is qhd. If you look at the screen capture of Antutu, the kernel version is 3.0.13 which is a ICS kernel. Jellybean kernel is 3.4.0. The YouTube video is showing the N7100+ with Jellybean. Thank's Creg you're right. I was between n7100+ and note 2ex witch I think are the top at the moment MTK6577 note clones. One more question about the mtk6588 and mtk6589 phones on fastcardtech why they're always out of stock? Mtk6589 phones are not released yet. They only tested engineering samples. I forsee them appearing in March 2013. Hi Greg. I ordered the HD version though and now I am waiting for arrival, I noticed that they have changed some things likew reverting to S7100 name and adding built in stylus pen and 2 batteries. I guess I have to wait about one month to arrive to Spain. When it does I'll let you know how it fares. Cheers. ok, send me a note when you get it. Hi Greg, thanks for great review based on real features ot the smartphone. I'm very consider to buy this baby, but only one issue is magnetic compass. Does work now after flash it up with new one ROM? (this phones should contains magnetic field sensor i like "yamaha530 3-axis Magnetics Field sensor". Could you check that this feature is already work properly? I do see the Yamaha 3 axis sensor as checked in Z devices but its not moving. The hardware is there but I think the manufacturer did not put the software in for it so it is not active. Old ROM and new ROM both does not support the sensor. I always see your videos and reviews about phones, keep up the good work, it helps a lot for a lot of people. I bought this phone after watching this review. The missing thing was the flashing process, if you can show that it will be easier for me to update my Rom. I know if done wrongly can brick the phone but I have knowledge of doing this but been out of touch for long time since Htc diamond. Or share some link which shows the way you flashed the Rom. It will be so nice of you. Will make this video soon. Tried to root it, but, rooting tools don't work. Hi Greg! Great page! very informative and well versed. Was wondering if you know how to enter "fastboot" mode on this phone? wanting to know how to unlock the bootloader for flashing custom roms. Thanks! You need to use flash tools and get the correct CWM recovery in there first. Press power button and volume up button to get into recovery menu. If you don't have cwm recovery installed, you will see an android robot lying on the ground with a red triangle exclamation mark. Some phones use the power and volume down button. Hi Greg. Thanks for your response. Yes I indeed have CWM on my phone ver 6.0.12 and have been successfully playing with nandroid backups. coz whenever I get into a ditch like last night when I tried flashing it with the custom rom from here http://www.4shared.com/zip/qjnqiHrI/ROM_Star_N7100_root_v10.html it got into a bootloop meaning its really not letting me do custom roms. and I need to have my bootloader unlocked. Judging from this post of yours, my phone is almost the same as this unit HDC S7100 only that it has 512 ram and 5MP back camera. But 'am really wanting to do custom roms and experiment like CM10 or any jelly bean derived custom rom. I'm after project butter effect on my phone and have it optimized. I also tried the key combination you posted for engineering mode and it worked!. so the only thing I'm after now is to get to fastboot and unlock my bootloader and I would be a happy camper! Thanks in advance! These phones do not have locked boot loaders. The ROM you downloaded is probably the one I uploaded. The 1gb version and 512mb versions require different ROMs and will not work. Only a few of these phones have a boot menu. Most do not have it. Please search the Russian forums. I don't know where to get this ROM. Any site where i can follow to root & upgrade it to Jelly Bean ? I don't know of any clone phones with a jelly bean update so no ROMs. You have to make do with ICS. After some reading, can i conclude that the HDC Galaxy Note 2 S7100 is actually the exact same Star S7100 ? The difference between Star S7100 & S7180 is the ram of 512MB & 1GB respectively. So the rom is usable on both. Which also implies we can flash Star S7180 rom onto this "HDC Note 2 S7100" ? The star S7180 is same as the HDC S7100 and can use the same roms. But before you flash, make sure you do the backup first. Because everything i see in Antutu isn't accurate. What a disappointment, should have read more before i purchased. I have another reader who also just received it and got the same thing as you. You can re-advertise it with the correct specs and sell off on eBay or some classifieds. Small price to pay for learning how to buy china phones. to: shokudo. I also just paid the 'small price' for learning how to buy phones, ordering N7100 and receiving buggy 7102. What I learned is 'don't buy china phones'. Question for you. What doesn't work on yours? My phone: fake Antutu, no Play Store, no GPS, no root, no 3G. Managed to fix all but 3G. What doesn't work on your phone? Thank you Greg for sharing about this phone and its quirky and resolution. 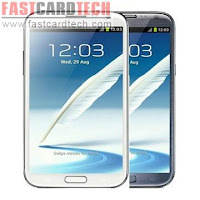 At under SGD 250 I think this is a great alternative to the Samsung Note II. I have no experience with rooting and flashing Android devices, so I was wondering if there's a guide you can direct me to with regards to flashing this phone? I saw the list of software u listed but what sequence should I run them in? You need to install CWM recovery first, backup your rom to a SD card. Flash the new rom. If recovery disappears install recovery again (depends if the rom includes recovery or not). Root the phone if needed (may already be rooted). If the rom is already rooted it will have the SU (superuser app in there). I should root it using that BIN4RY ROOT METHOD tool you shared right? Yes, use bin4ry root and restore for this. I've just foud you blog and want to thank you for many valuable information. I've purchased HDC S7100 Note 2 from Fastcardtech few weeks ago. It works pretty well but have few problems: one with proximity sensor which does not work well (the screen does not go off during the conversation and goes on a few seconds after end of the call). I wonder if you have the same problem. You mentioned that it is possible to calibrate the sensor-can you please write a bit more about it. I also see that the sound is not as loud as I expected. It is ok, but could be a bit louder. I wonder about your phone. Can you also please also let me know how long the battery lasts in your phone and it the battery indicator % is correct, as mine drops down quickly but then the phone can work hours with 4-5%. I have a kind request if you could write hot to install CWM recovery and a bit more about rom you uploaded. In Settings / Display you can calibrate proximity sensor. Click Al_PS calibration. Then cover the sensor and press start. Enter engineer menu and select audio. You can increase the sound from there. Which volume do you want to increase? Speaker? Or call volume? Or headphone volume? All have different settings. To install cwm, you need the flash tool and the proper cwm. I will do a tutorial in the next few days. Have one more question. Is CWM customised per each model, I mean the one you post a link works only for s7100 phone or it can be used for other phones with Jelly Bean or ICS, so might work with othe clones of note 2 or SIII? It might work for phones by the same factory or using the same ROM. I am going to try it on the G9300. Keep you guys posted. I will be making a cwm and rooting video using the g9300. Doesn't matter if it is ICS or Jelly bean. This small program loads even before the android is loaded when the special combination keys are pressed when starting up. Is there a method to root star s7100 the 512mb ram version? Use the same software and it will work. Root and Recovery by Bin4ry. Search my blog or search xda forum for the latest version. The 1gb ROM and the 512mb version use different ROMs. You will need to flash the correct ROM back again. Check this forum. This developer will be able to help you. i try to start the phone in recoverymode.. but the driver doesnt work... how do i make the phone visible in flashtool with a working driver.. i have tried a lot of drivers but i only says "unknown device".. I just posted new instructions on how to flash right at the bottom of all the comments. Does casing for the real Note2 fit this ? Will not fit but it comes with a casing. hi i have just flashed my phone..
but when i start up it just a white flashing screen?? do u know whats wrong? You might have flashed the ROM for the wrong model phone. ok mayby i get a ROM for fwvga screen? how do i flash with the correct one..
i found a factory rom but there is no scratter file? how do i do? please help.. Try using CWM recovery to flash the zip file on the phone. put the file at phonememory? or how ? how do i start bootmenu? i have found a ROM that works..
but the Alp_ps sensor doesnt work..
OK, try looking for other ROMs for this phone. When you flash from cwm, remember to clear dalvik cache, and phone cache. To be safe just clear all caches. If you don't clear the caches, some things may not work properly. I experiences that with some android phones. Sometimes you need to flash it twice of 3 times for it to work properly. You need to go to settings/display/alp_PS and cover the sensor and press calibrate. ok how do i start "cvm"? can u please help an tell how to flash a new recovery with flash tool..
i have downloaded and start the scratter file..
and only recovery are marked.. how do u do next..
do i have to do somethong more before i use upgrade? I am afraid you can't. What one would be the "boot from custom recovery"? I've tried twice and ended up formatting my phone both times. Thanks for your help. Do not boot from that boot loader. That is the factory calibration menu. You need to flash cwm recovery then press power button and up volume together to enter cwm recovery. If you press power and volume down, you will go to factory calibration menu. If you think you have cwm recovery already, please look for my Neo N02 post. I put up a translation of the cmw in English. Even if it is different version, you just need to look and match the Chinese words. Ahhhhh Thank you very much. I tried it and it came up with an android with a triangle inside his stomach. I think this means the custom rom will not work with my phone..
That is where cwm recovery is supposed to be. If you don't have cwm recovery installed then you will get that red triangle android. I have it on my SD card as I thought I would be able to boot from it from there, trying to use bin4ry gave me a "(no root)" error. How would I apply the CMW recovery to my phone. Thank you again for all your help! 3. Copy the recovery file to replace the original recovery file. 4. Load flash tool and select original scatter file. 5. Uncheck EVERY SINGLE BOX and leave ONLY recovery box checked. 9. VCom drivers will automatically load the flashing will start. 10. Green circle appears to show flashing successful. Warning: recovery file must be correct one for your phone. I will not be responsible for bricked devices. Modify at your own risk. I have the S7180 1GB ram or whatever they call it now. I've downloaded the files you listed, now I'm stuck trying to get my android to stand up and get the exclamation point off his chest. These instructions seem to be for someone not using the files you listed. I need instructions to use your list because I believe I have the same phone. Also when I hit download it says that "Not all of the images are downloaded correctly, which may cause boot up errors!" Your phone needs to be off and you need to pull the battery to do the flashing as in the procedure above. Follow the steps above or Google for the solution. I am sorry I cannot provide you with any tech support as I am not selling phones. Now getting error 43 on my pc and usb cable, any idea? Sorry, I have not come across that before. Please supply your tool version, GUI screen shot, and tool logs when you encounter trouble with the latest tool. Please supply your tool version, GUI screen shot, and tool logs When you encounter trouble with the latest tool. How to obtain the tool logs? How to Obtain the tool logs? 3. [Menu]Help-[SubMenu]Open logs folder. 3. [Menu]-Help [SubMenu] Open log folder. Need download all images! Need download all images! DA paritial images download is ONLY allowed under following prerequisite:1. DA paritial image download is ONLY allowed under prerequisite Following: 1. All images have been downloaded to target before, and targetcould boot up;2. All images downloaded to Have Been target before, and targetcould boot up 2. The images layout map on the target is same as the load that is to be downloaded. The image on the target map layout is the same as load to be downloaded That Is. You actually need the whole complete ROM but just replace the file you want to flash and only check that box. 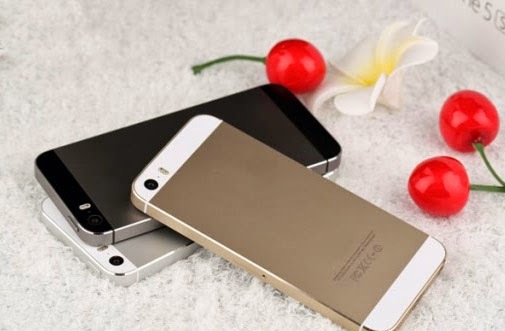 By the way, you will need the recovery specifically for your phone or recovery will not work. i finally rooted my phone with your files and instructions.thank you very much you helped me alot!!!! What I mean is you must have the recovery file specially made for your phone model. Replace it with the one in the original ROM. Okay, where would I find the original rom? I have the dead robot and no access to the phone through the usb. When i try to root the phone its says mount permision denied.. Usb debugging is on, firewal and security off. I have a Star n7100 with 1 gb. You have a newer Jelly Bean version which fixed all the security holes. It is unrootable using the simple method. You need to use the complicated developer method. You can find this on xda forum. oke Greg, thanks for your reply! I m going to look at the xda forum for a solution. do you perhaps have a link? Thanks for the great review in all your articles. I'm in the market for a smartphone and was wonder what would you recommend, having to do bare minimum out of the packages. I would really want a phone with the capabilities of Samsung Note II with the stylus pen, but maybe just a bit smaller in size so i can fit in my pant's pocket. What would you recommend as the most stable and best buck for the bang!... could you give me your top 3 choices. Thank you so much in advance. Forgot to ask.... should I wait for the quad core? Like I said, no note 2 with stylus. The real note 2 use a wacom stylus, same one as PC drawing tablet with pressure sensitive tip. All clone phone can use the lousy fat tip rubber stylus. Read my new article on the list of quad core phones. THL 8w is on sale now. It has 5inch screen. And quad core. You can buy that. Every single Chinese phone running ICS and jelly bean is able to do that. You cannot over clock it unless a very good developer on xda modify the kernel to allow over clocking. There is none now so we are all stuck with the stock speed. I ordered that s7100 from FCT what you recommended. Sorry, i just read those comments and there it is. U have allready explain it. Thanks. Hi, I try to root my phone, but the permision to root is denied. Can tell me what can I do? I put up some links for this phone below the article. Use flash tool to add cwm recovery to your phone then use cwm to flash superuser to root your phone. You can download cwm recovery from my link above. I have that phone now you recommend but the software version number is e1901_v77_jbla668_fwvga. "the device is not connected to the computer. (Code 45)"
How do I get it to show all the time? How the configuration is supposed to be on the phone and on the computer? Another broplem is the GPS, it won´t find any satellites? If the problem is the antenna? Or should I try some program first? You will not get 3g with any AT&T phone because it uses WCDMA 1900mhz frequency. Other telcos which support wcdma 850/2100mhz will work. I have no idea. You need to get support from the place you bought it from. unit above reprogrammed by a tech in the usa ? Hi, I just bought this phone a couple of days ago. Although it does not have the problems with the buttons that you demonstrated in your video, there is something not right. If the wifi is connected and you put the phone to sleep for a while, when you wake it back up, the wifi does not automatically connect. It says that none of the access points are in range. I have to turn off the wifi and turn it back on again in order to get it working again. Do you currently see a problem like that? My build number is e1901_v77_jbla668_fwvga_20130305. Looks like there is another version with the fwvga screen which is lower resolution at 480x800. The original version has the qhd screen at 540x960. You need the fwvga version. The screen driver is different and that us why you get white screen. The phone should be still operating except you can't see anything. Okay so where I can found those correct cwm, root and rom for fwvga? You need to check on xda forum or the Russian phone forums. I am sure someone has your firmware. I done a bad flash on my phone and i now have a white screen does this mean my phone is broke or can i fix it in any way i can still hear the sound when i slide to unlock it but screen is just pure white thanks. You have the same problem as the person who commented before you. Locate the correct ROM for your phone and reflash. See above for detailed answer. Tried everything but still white screen guess its time to just throw it in the bin :-( thanks for all your help tho. Greg, what is the zip password in the 4shared? I probably had tweak my phone and now as i start up my phone it stuck at the android logo. Can u post a tutorial or guide to install de ROM? Because i downloaded all tools but i don´t know how to use it.